A cheque for $20,000 was presented at a lunch gathering on January 29, recognising the local charities the Foundation has chosen to support. 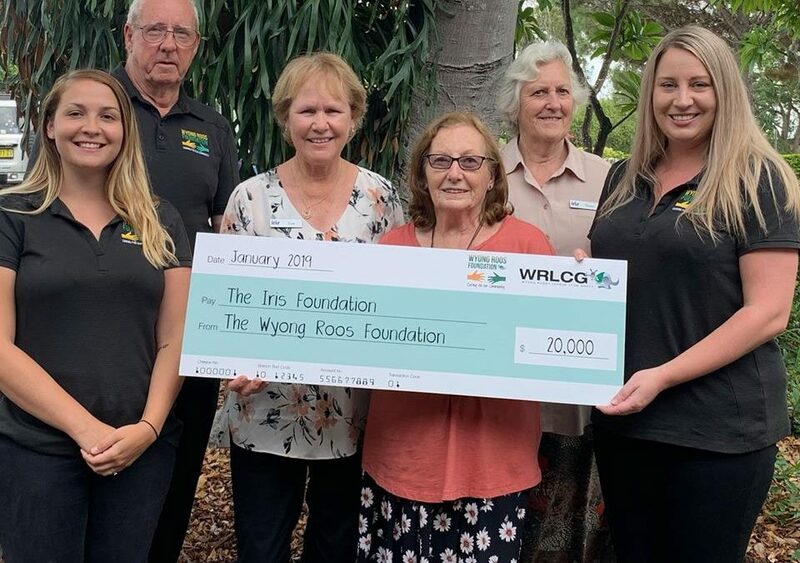 Wyong Roos Foundation focuses on supporting smaller charities which, like Iris Foundation, rely on grassroots fundraising efforts from the Central Coast community rather than receiving government funding. The money received will directly fund the roll-out of Cool Connections program in local primary schools, as well as this year’s Tree of Dreams awareness campaign. Iris Foundation board and staff would like to thank the Wyong Roos Foundation for its continued support.